The parking lot at Third Avenue and Virginia Street, just north of Bed, Bath & Beyond in Belltown, has a long, tangled and costly history that dates back some 18 years. Past owner Investco and its affiliate Tarragon initially planned an office tower with condominiums at 2000 Third Ave. The 19,440-square-foot property is on the northeast corner of Third and Virginia, south of the YWCA. After the recession and an upzone, the plan changed to an apartment/hotel tower. In 2013, Investco sold the master use permit and property for $17.75 million. The buyer was British Columbia Investment Management Corp., or BCI. 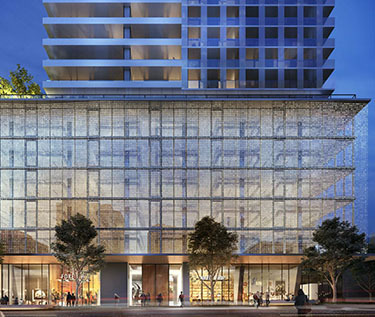 In late 2016, BCI enlisted Vancouver, B.C.-based Westbank to develop a high-rise apartment building with offices in the podium, designed by James K.M. Cheng Architects, also of Vancouver. 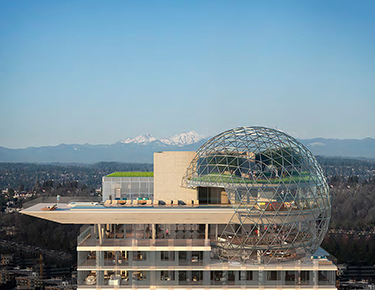 The most distinctive feature on Third & Virginia was going to be a geodesic dome on the roof.